Chamilia presents this beautiful necklace inspired by Winnie the Pooh, the iconic Disney character. 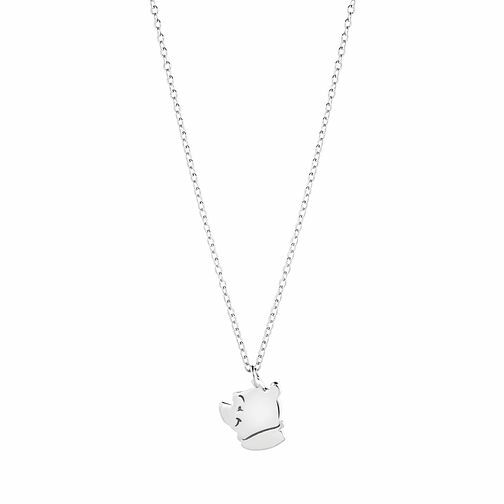 Crafted from shining sterling silver, this gorgeous necklace features an intricately detailed Winnie the Pooh pendant, perfect for any Disney fan. Discover all the ways to express yourself with Chamilia. Chamilia jewellery is as unique as you are! Chamilia Disney Sterling Silver Winnie the Pooh Necklace is rated 3.0 out of 5 by 3. Rated 2 out of 5 by Anonymous from Disappointed I was given this necklace as a wedding gift and absolutely loved it as a huge Winnie the Pooh fan. Unfortunately less than two months later the chain has snapped and my husband has lost the receipt so I cannot return. Rated 5 out of 5 by Anonymous from Perfect for any winnie fan This necklace is lovely, I am a huge Winnie fan and I have worn this everyday since I got it.